Why should my children learn with you? 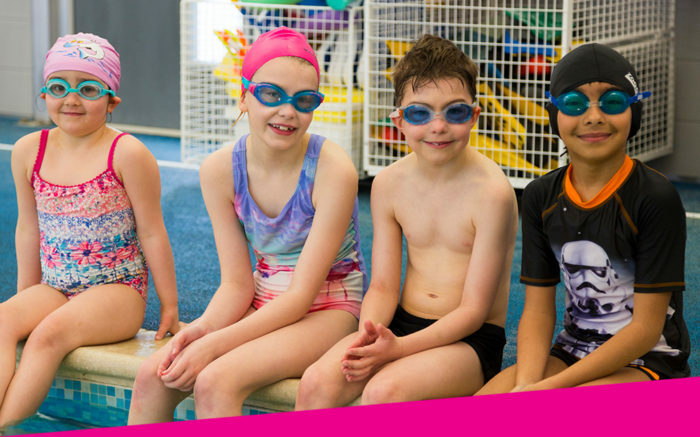 We strongly believe we’re offering a unique service; providing children’s swimming lessons that, although in a group setting, we are committed to teaching each child individually, building a relationship and rapport with them that tailors teaching to their strengths. Why not have a read of our testimonials and see what our customers are saying. 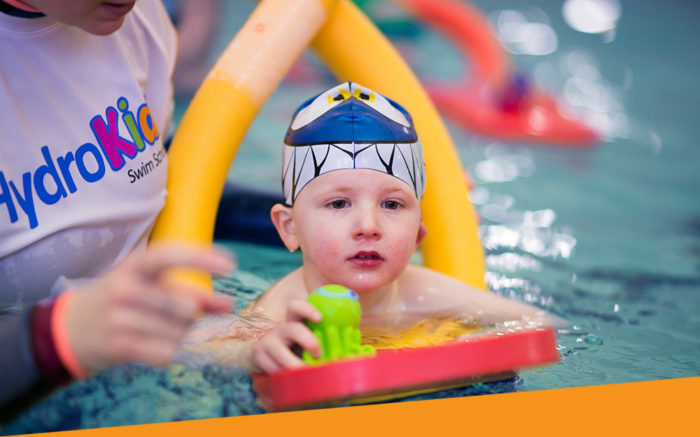 If you have any questions or queries, or would like to chat to someone about your child’s swimming, call us on 0118 402 2899, or email info@hydrokidz.com. All swimmers are required to wear swimming caps. We recommend either silicone or fabric caps for comfort. You also need to bring swimwear, and towels, plus if you would like to make use of the pool’s facilities bring shower gel and shampoo. Swimmers can wear nose clips, goggles, ear plugs etc if they would like but these are not compulsory. All other equipment is supplied by HydroKidz. Visit theswimmingshop.com for a great range of swimming products including caps, swimwear, goggles and much more! Those on the Membership Scheme (paying for lessons by monthly Direct Debit) get 20% off all products! Do I have to stay with them? Yes, we ask parents/guardians to stay with their children; there is space to sit and watch on poolside. Can my children share a block of lessons? Join our Membership Scheme and get 20% off any additional sibling who joins the scheme (first swimmer £39.99 then £31.99 per additional swimmers). The membership scheme has many other great benefits – click here to find out more. You can also purchase lessons in fixed ‘blocks’ in multiples of 15, 30 and 45. These blocks can be split between children but require each child to have a minimum of 15 lessons. You can pay us over the phone, or via our website using a secure payment system. Payment needs to be taken in full before the first lesson. If you join our membership scheme you can pay for lessons by monthly direct debit. Click here for more information. Our instructors have experience working with and teaching those with disabilities- from learning difficulties, to hearing, sight, or other physical disabilities. Our parent company SwimExpert offer 1-2-1 swimming lessons if you feel these would be more suitable. Please phone us to discuss. If my child can't make a week, can I get a refund for that lesson? Reading Blue Coat School term dates. Mary Hare School (Newbury) term dates. Can I change the lesson time/day? This is dependent on whether there is space in the same class at a different time. We make no guarantee, however we can try for you. We would need 24 hours notice for this however. Not on a lesson to lesson basis, however if a child is to replace another child for the duration of that block of lessons, that is possible. What do you mean continual assessment? Because of our small lessons, and experienced instructors teaching is to a large extent tailored to each child. We want to make sure they progress when they are ready, rather than adhering to the end of term leveling up process that some schools have. Each child’s swimming is matched against the criteria for each level, and once they have filled all of it they are guided towards the next lesson. We teach following the ASA Learning Pathways, following the Duckling stages and then the Learn to Swim levels 1-7.Please click here for more information about what your child will have achieved when they complete each badge. Do I get anything if I refer a friend? Yes! If you refer a friend or family member to Hydrokidz, or to SwimExpert, you get a free lesson added to your booking. How can I contact you and what are your opening hours? What age do you teach from? We teach children aged 3+. Our sister company SwimExpert offer 1-2-1 lessons to children from the age of 2, and adults. Visit SwimExpert for more details. What's different about these group lessons? We teach in small groups: usually 4 – 6 children for Start and Beginner classes, with 6 – 8 for Improver and Advanced classes. We use continual assessment, rather than end of term progression, meaning that whenever your child is ready to move up, they will. We have use of the whole pool; there is no public swimming while lessons are going ahead. Our instructors teach both on the side, and from the water; as well as having in-water helpers for classes that require them. How do you choose instructors? Our company have been working in swimming teaching for over 20 years, and as such we have got lots of experience and understand what makes a good instructor. 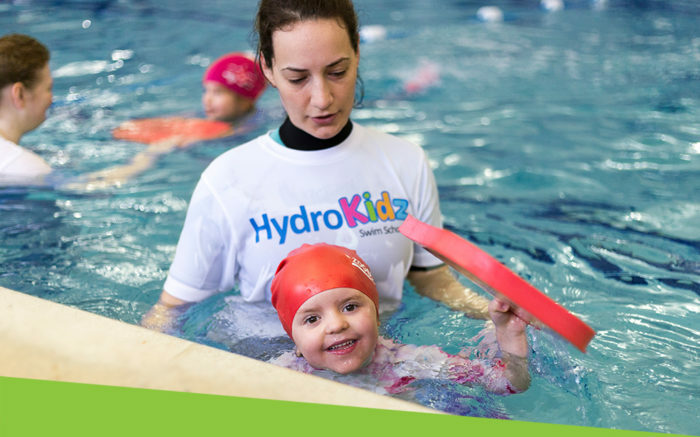 We have a rigorous recruitment process, and assess every instructor we employ to ensure that the Hydrokidz teachers, like with SwimExpert, are the best. Read more here.